Thorne Digital Media Group, Inc. is more than just a New York Web Design and Development Company. We concentrate on all facets of development, 3rd party implementations and information architecture for businesses, non-profits and organizations worldwide. Companies call on Thorne Digital Media Group, Inc. to provide them with a full service, single point of contact experience for all their digital solutions and custom software or web development. Whether you need to tie your Atlas accounting system into your employee phone billing records in Avotus using a web based intranet running Java or Cold Fusion or a full eCommerce web site that ties into UPS Worldship and your enterprise accounting system using Microsoft .NET, Thorne Digital Media Group, Inc. has the knowledge, skill, experience and drive to deliver on time and under budget. We work closely with all of our clients to develop solutions that fit their needs using the latest technologies and security practices. Our services include web design, logo design, programming, custom interface design, ecommerce, website re-design, flash animation, branding, audio and video streaming capabilities, web hosting, internet marketing and search engine optimization. 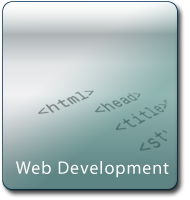 Call Toll Free (888) 341-3707 today for all of your software and web development needs. Thorne Digital Media Group, Inc. is a full service provider with more than 15 years ISP/Telecom industry experience.